The 2018 Italian Tea Masters Cup competition is scheduled to take place on Monday June 18th, starting at 10.00 am; it will take all the participants and visitors to an extraordinary venue on the “top of Europe”. Indeed, this third Italian edition of the Tea Masters Cup, the competition that puts a strain on both, the tea professionals and the tea lovers, will bring Tea Mixology close to touching the sky. Where? On the top of Mont Blanc, the highest peak in Europe, hosted by Skyway Mont Blanc, in Courmayeur, the Italian’s engineering marvel that offers an unforgettable travel experience. Nestled in the heart of the Alps of Aosta Valley, the smallest region in Italy with a predominantly mountainous territory, the new Mont Blanc cable cars are not merely a means of transport but are the most spectacular way of reaching the closest point to the summit of Mont Blanc. The organizers are Protea – Tea Association Italy – a non-profit organization affiliated with Italian Association of Culture and Sport (AICS). Protea’s focus is on tea culture promotion, tea education, travels to the tea production countries, training events and competitions in the skills and arts of serving tea and also fostering of cultural exchange. Regarding Tea Education, Protea has launched Protea Academy, which is dedicated to increasing awareness and providing assessed information about quality tea to Italian consumers. Furthermore, and in partnership with the Tea and Herbal Association of Canada, the recognized TAC TEA SOMMELIER® Certification Program is made available in Italian for both tea professionals and consumers. 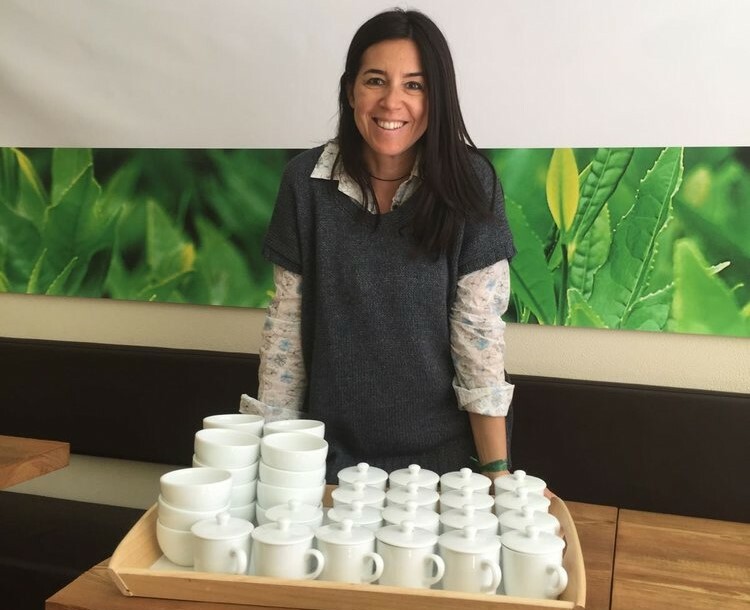 The founders of Protea are Gabriella Lombardi, the owner of the “Cha Tea Atelier” tea house in Milano and Salvatore Nicchi, the owner of Importea, located in Torino; both are passionate about fine origin teas and therefore committed to give these premium cups an improved status with the Italian consumers. The Tea masters Cup is a championship, that was devised by the Tea Association of Russia and launched in 2013, with several sets of skills that allow to designate the national champions, within the current 20 countries in membership. All the national champions will then compete on international level, with the international panel of judges finally selecting every year the worldwide number one. So far, this international competition has been hosted by Turkey in 2014, by South-Korea in 2015, by Vietnam in 2016 and by China in 2017. From June 10th to 12th Protea Academy – Tea Association Italy will run a tea platform, i.e. a dedicated business and meeting area for tea and infusion products in the beverage Pavilion of the Torino Gourmet Expo Forum. This special area will offer a topical education program managed by Protea Academy with workshops, masterclasses and tea tastings, aimed to attract B2B operators and Ho.Re.Ca professionals (bars owners, pastry shops, restaurants, hotel managers, etc.…) and to promote their products, also beyond their own booths, providing additional business opportunities & visibility.